Forgotten Australians - Ballarat District Orphan Asylum, Orphanage, Children's Home 1865-1980's Never Hidden Or Forgotten! Forgotten Australians is a term applied to the more than 500,000 non-indigenous,Former child migrants and indigenous children who experienced care in institutions or outside a home separated from their biological family setting during the 20th century. Many of these children were abused, physically, emotionally, or sexually in care. Survivors to this day still suffer the effects of the child abuse. The number of Institutions throughout Australia is over 800, sadly many have been sold and being demolished without knowing of their historical significance . 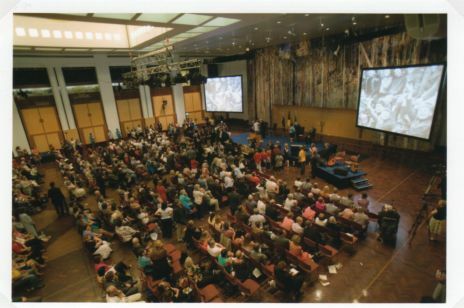 The Inquiry of the Senate Community Affairs References Committee in 2004 heard many people who were placed as children in the Australian institutional care to tell their stories – for many it was their first time. Sharing their experiences and caused great pain for them and their families. The report is titled, Forgotten Australians: A report on Australians who experienced institutional or out-of-home care as children. The Senate Committee reported that they had "received hundreds of graphic and disturbing accounts about the treatment and care experienced by children in out-of-home care. Their stories outlined emotional, physical and sexual abuse, and often criminal physical and sexual assault and neglect with little education and healthcare. On 16 November 2009, at the Great Hall at Parliament House in Canberra, on behalf of the Australian Government, Prime Minister (Then) Kevin Rudd delivered an absolute apology to Forgotten Australians and Child Migrants who suffered abuse or neglect in care. 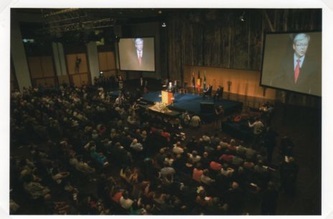 He was supported by the (then) Opposition Leader, Malcolm Turnbull. "Researchers have argued that Australia has the highest rate of institutionalisation of children in the world. So how, as a nation, do we respond to this?" Adele Chynoweth is a theatre director and museum curator working on narratives of Forgotten Australians: more than 500,000 Australians who spent their childhood in orphanages and other institutions.